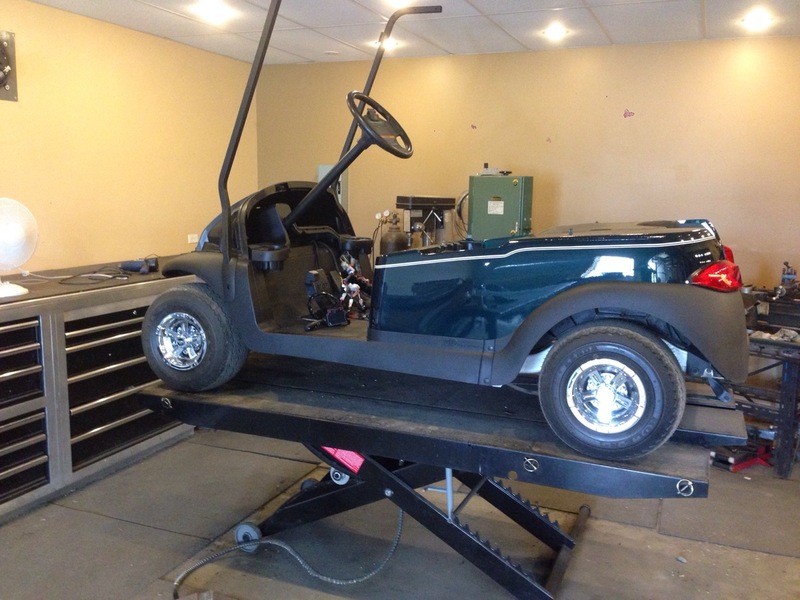 Are we ever thankful for awesome customers that have such great imaginations when it comes to their inspiration! While things in the shop are definitely warm with all this beautiful sunny 30+ degree weather we’ve been enjoying, we haven’t slowed down one bit. 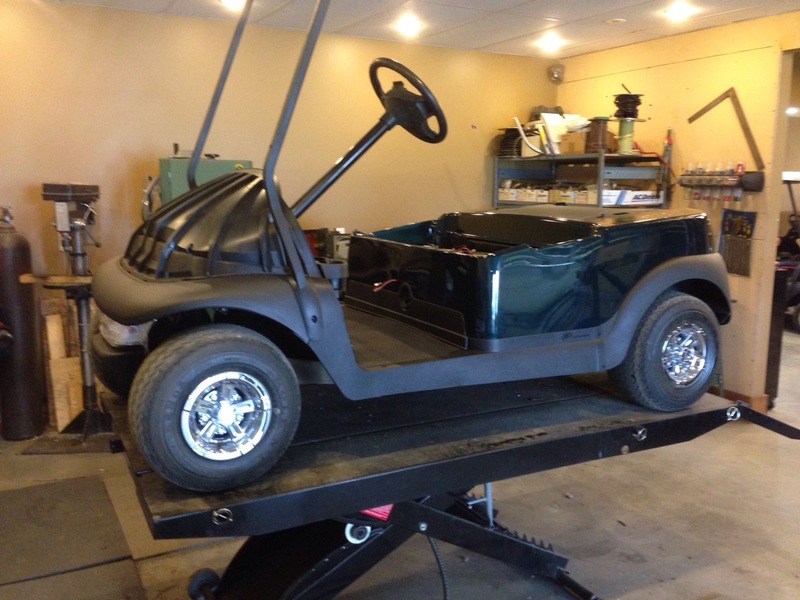 This classic British racing green inspired golf cart has been keeping us on our toes as we anticipate it’s completion! 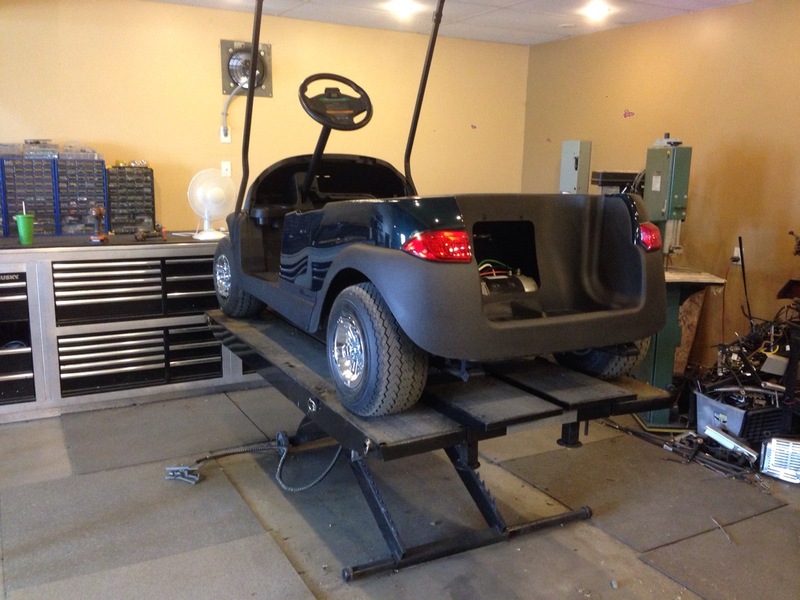 Moving right along, we installed the rear underbody to get the back end of this cart completed. 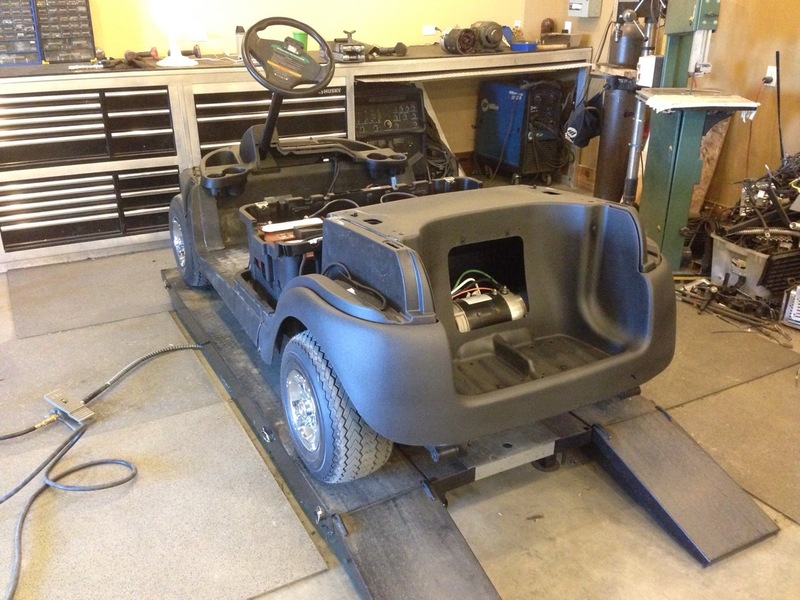 Then the front underbody and front roof supports were installed. 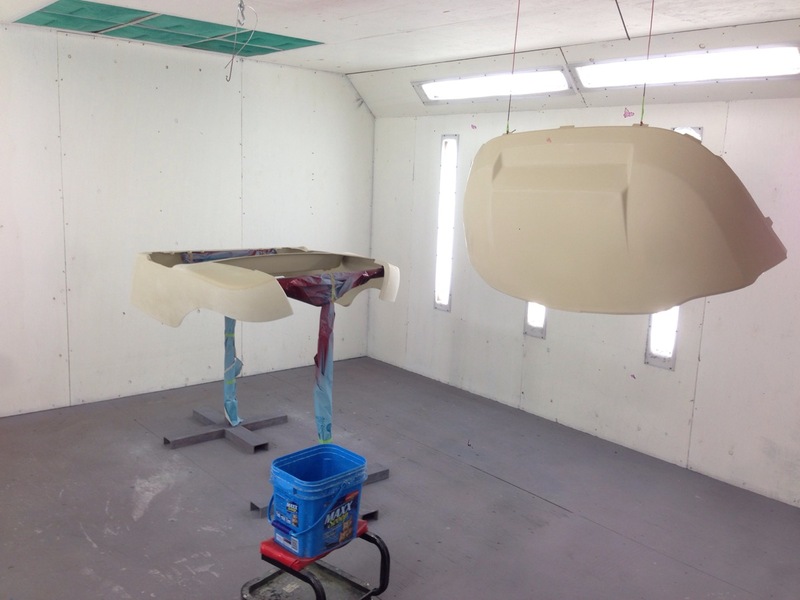 Next we moved into the paint booth to do the final wet sand before we got ready to lay down the epoxy sealer. 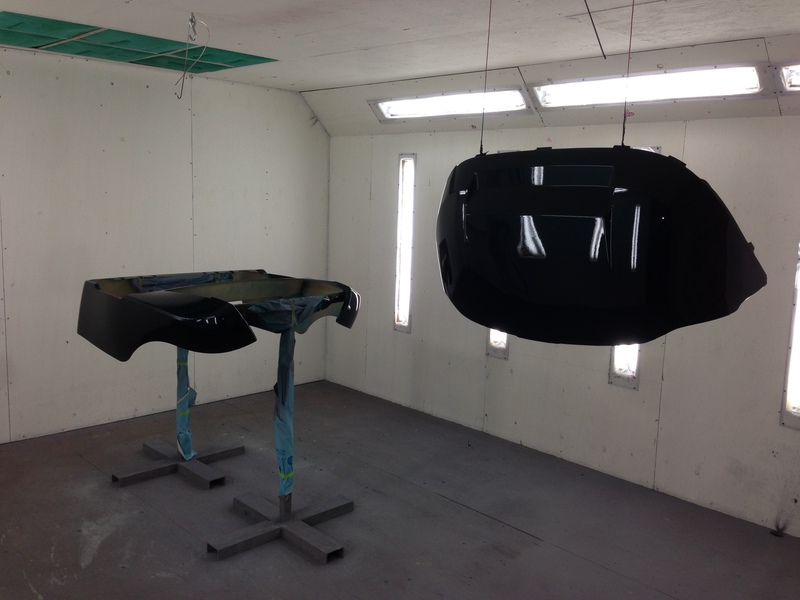 After two coats of epoxy sealer, 3 coats of Lotus Racing Green and 3 coats of clear the paint is drying… did we get it wrong this looks black? 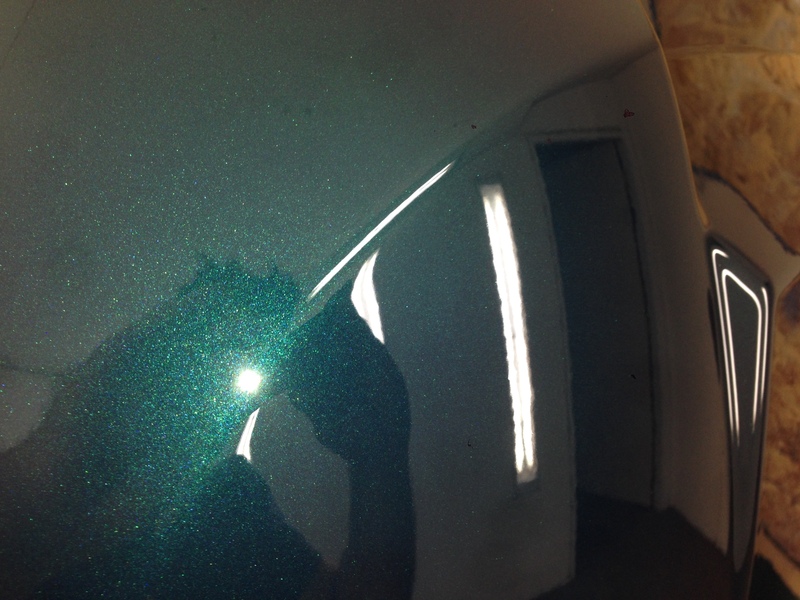 Of course not, this color is amazing, once some light hits it, it comes right to life…what a cool color! 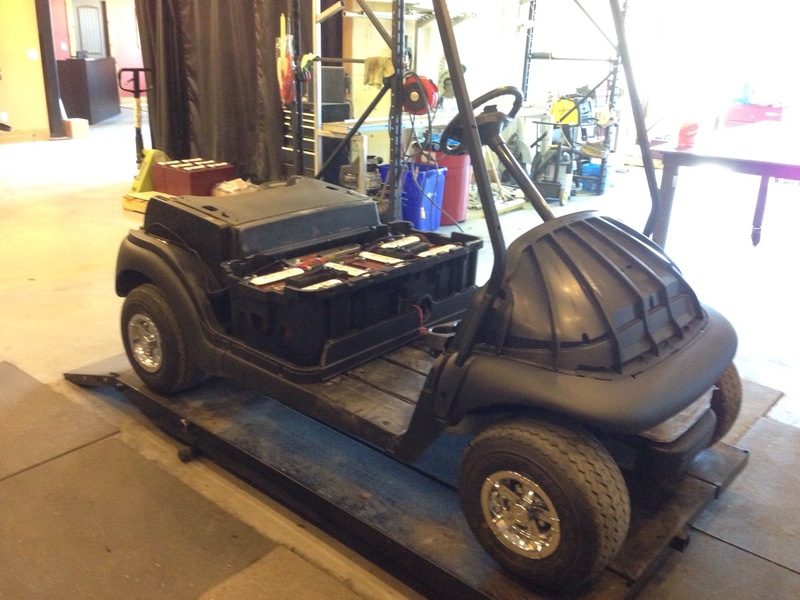 Out of the paint booth and onto the cart! The body is looking good! 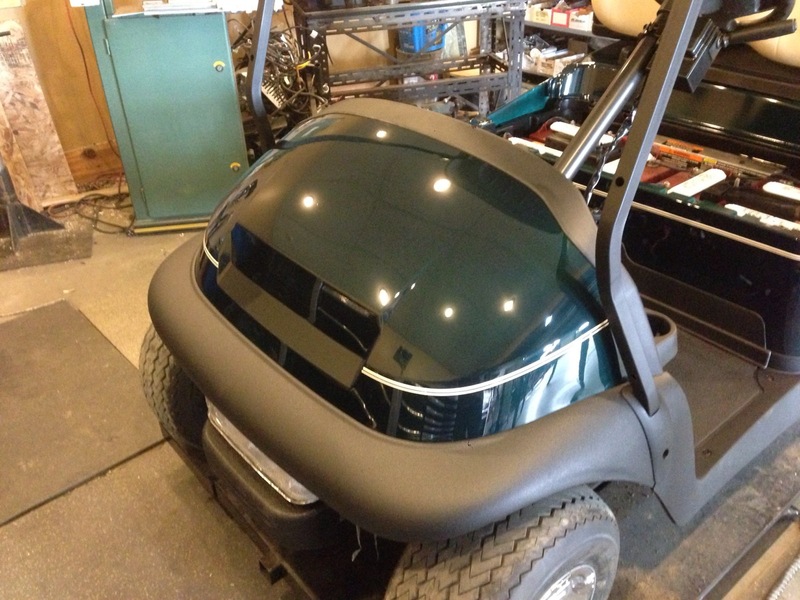 This cart is getting the full road ready package, and these great looking taillights are part of that! A nice classic tan pinstripe is going to bring the colors together. 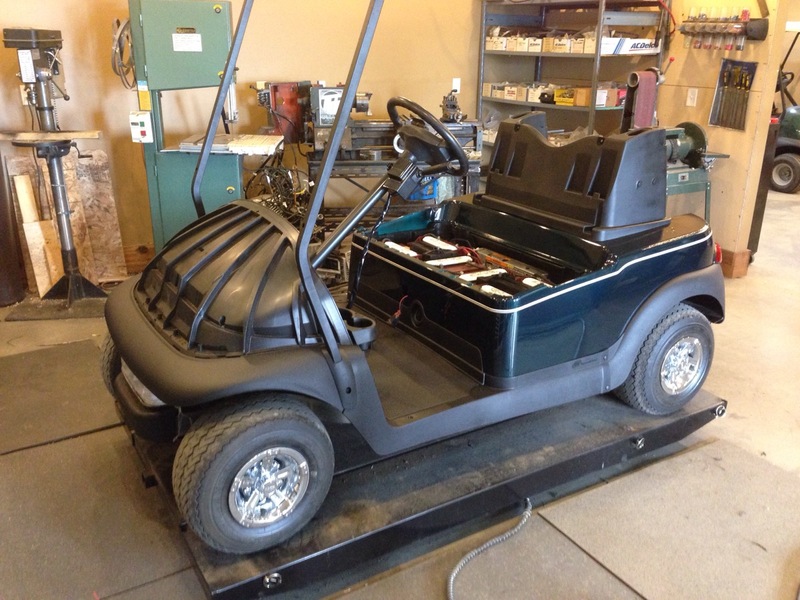 On with the sweater basket and front roof supports. Next the tan upholstery and tan roof go on, see how good the pinstripe looks now! Here’s a closer view of the pinstripes on the front cowl. This color is so cool, it takes on so many different shades depending on the lighting. 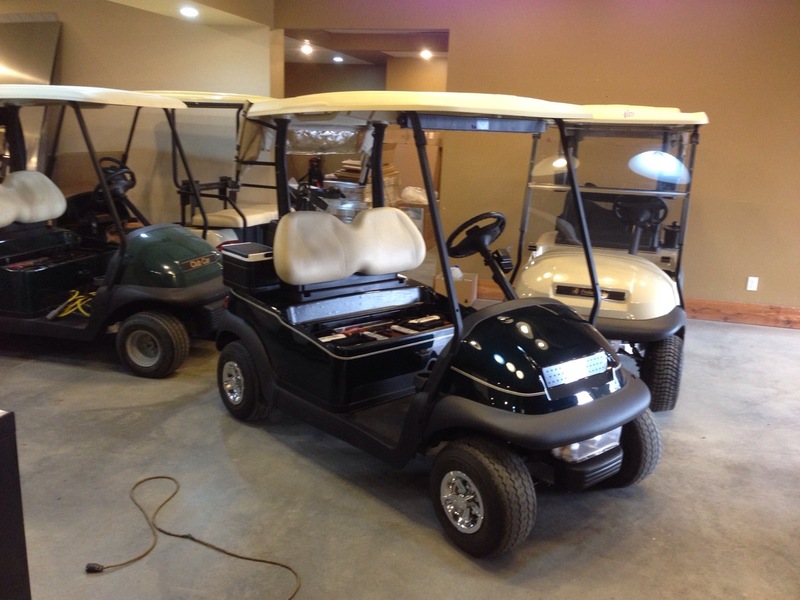 Off the lift and amongst it’s Club Car friends. 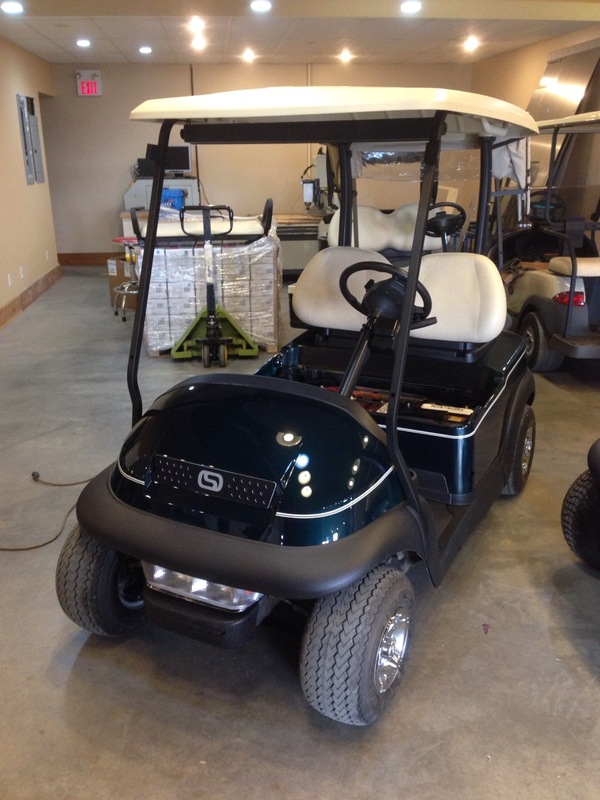 It also got an SC Carts front grill. Another angle and yet another shade of color! 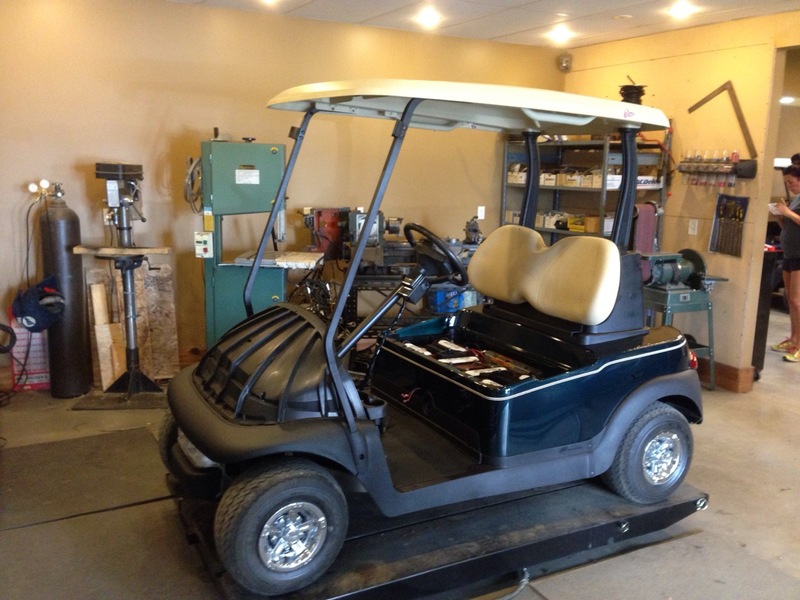 Just a couple more finishing touches and this beauty will be ready to head home to it’s new family at Gallagher’s Canyon golf course.